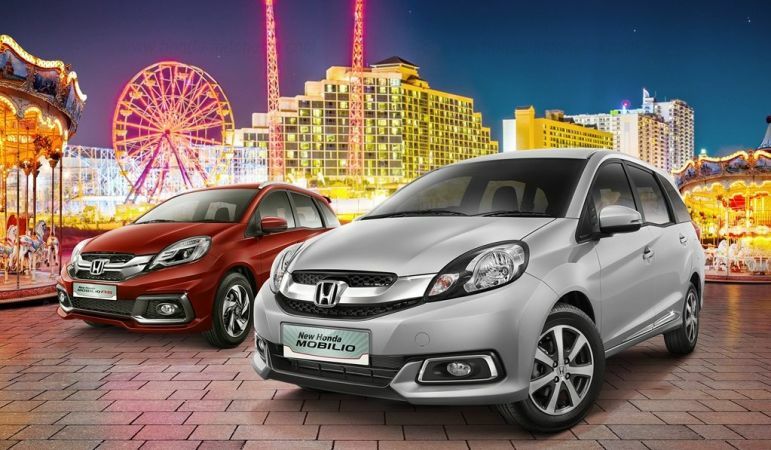 With vast updates Japanese car maker Honda has launched the refreshed version of its MPV Mobilio in Indonesia car market. Although the exteriors of this MPV receive subtle changes interiors have undergone enormous contemporary changes. Inside the cabin you will find newly developed dashboard similar to its upcoming SUV BR-V. Apart from this the circular air conditioner vents have now been given rectangular shape. The central console now comprises of touchscreen entertainment system with reverse camera studded on it. The three spoke steering wheel however remains same without any change. Besides all this the new version of Honda Mobilio also embellishes automatic climate control along with new cup holder. The exteriors receive newly developed alloy wheels with chrome work on both front and rear bumpers. As far as changes under bonnet are concerned nothing has been changed and continues with same 1.5 litre i-VTEC petrol engine and 1.5 litre i-DTEC diesel engine boosting the power of 118 bhp and 99 bhp followed by torque of 145 Nm and 200 Nm respectively. Both these engines are mated with five speed manual gear box transmission system. The refreshed version is expected to hit the Indian roads.